Next week I am off to a vacation to Hawaii – for free! 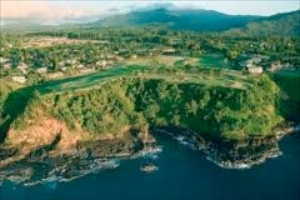 Yes, a round-trip flights from Boston to Maui, and Kaanapali Shores Hotel, 7 nights, all free of charge! And because I am using Travelgrove’s Frequent Flyer Center, I could monitor my miles and earn elite status, so we are sitting in Economy Plus. If you are not very experienced in collecting miles, we can help, just follow the above link and check out the descriptions, then sign up. If you are collecting award miles, check out our tool that alerts you when your miles are about to expire and advises you on ways to avoid it. We all want more miles and mileBlaster knows about them and has got every mileage program in the world, get miles for hotel stays, airfares and car rentals. The best that if you sign up to a frequent flyer miles card you get so many bonus points that are enough for a free flight. If you do sign up, you will earn miles after every single mile you spent. How to get the flight? Now you may ask how me and my girlfriend got this free vacation. She has got an American Express Travel Rewards Platinum Business card when she buys supplies for business. You may get one if you sign up to the frequent flyer tool with a big miles bonus – when you sign up the widget just hit on the button called ‘bonus’ in the miles tool, find American Express and check their credit cards. I am collecting United Mileage Plus bonus miles – I fly with United Airlines and their partners such as US Air. But whenever I fly US Air I put my award miles into the United’s Mileage Plus program. The miles I got counted as elite miles thus I earned elite status through which I sit in Economy Plus for the same rate as economy. And, of course, I am monitoring the award bonuses provided by United and its partners through which I can collect enough award miles faster. And I have a United Mileage Plus Explorer Card, so I get a mile after each spent dollar in my account – plus my miles don’t ever expire with this type of card! Sign up to our travel center at Travelgrove and it becomes a lot easier. Use the miles calculator from the tool to check the number of miles you can earn with the different airlines from the program you belong to. If you are already collecting miles, you will surely like this mileage tool the helps you organizing and optimize your bonus miles easier and on one place.